Link building remains one of the most significant SEO tactics. Now, when I say “backlinks” and “social media,” you will probably think that these two aspects of digital marketing have nothing in common. 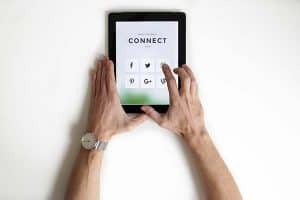 Social signals are still not considered a direct ranking factor, but they’re a fundamental piece of your off-site SEO puzzle. In the 2017 SEMrush research study, SEO professionals named social media one of the most powerful link building tactics. Here is how to use social networks strategically to build high-quality backlinks. Gaining links from social media starts with the optimization of your profiles. For starters, ensure that each social media profile is updated. Think about all aspects of your social presence, including your personal profile, business accounts, bios, descriptions, fan pages, online communities, and so forth. All business details and website links need to be used consistently and updated regularly. Next, you need to cross-promote your high-quality content on all social media platforms. You should also help your users share your content effortlessly. For example, by combining floating social share buttons on the left side of blog pages and fixed share buttons at their bottom, you will ensure that users can easily share the post, no matter where they are on the page. And, how is this related to building links? The exposure of your content rises with its social media shares. Such content is more likely to get noticed by industry experts who would further link to it in their blog posts. Influencer marketing is key to building online authority and earning high-quality links. However, to get the most out of it, you need to approach it strategically. Identify the right influencers for your campaigns. Pay attention to how they behave. Those are highly credible people with a massive following. They also mind what they’re posting. Each piece of content they share is well-strategized and highly authoritative. Influencers also publish content consistently and engage their followers. Their blog content and social media posts have hundreds, if not thousands of likes, shares, views, and comments. There are many tools that can help you find influencers. With hashtag tracking tools, you can grow an in-depth understanding of the top industry influencers, see what they’re talking about, and who their audiences are. You can also identify influencers using link prospecting tools. For example, Dibz helps you find influencers based on your search criteria and has a built-in SPAM algorithm that automatically eliminates poor-quality results. Many online marketers use cold pitching when starting their influencer marketing campaign. In other words, they’re emailing people they’ve never interacted with before. Sometimes, this method works. Still, given that influencers get tons of similar email pitches daily, you should focus on building relationships with them. Start following them on all platforms they use. Then, leave meaningful comments on their Facebook or Twitter posts. Don’t say things like: “Great stuff.” Instead, prove you’re a valuable resource. Provide fresh insights and statistics that will help you stick out. Once they’ve noticed you, connect with them. Interview them or ask them to take part in your podcast. Mention them in your blog post and ask them to link back to it. Send them your latest products and hope they will like it and review it on their blog. You can even host a massive giveaway and ask an influencer to spread the word about it on their blog or social networks. Hosting an event or sponsoring a local one is a powerful way to create buzz around your brand and get links. All you need to do is create a dedicated event page on Facebook, with a link to your site. Write PR articles or blog posts about a recent/ upcoming event and promote them on social. While you will earn lots of social shares, chances are local news and bloggers will link to your content on their sites. Another awesome option is to host a massive social media contest. Instead of just giving your product away, spice things up a bit. Inspire your loyal customers to express their creativity and show how they perceive your brand. Get them to like and share your posts. Ask them an open-ended question. Inspire them to submit an essay, draw something, or even take a creative photo of your product and share it with the public. The options are multiple – you just need to choose the one that resonates with your audiences. The same goes for rewards. Choose something valuable enough to grab people’s attention and inspire them to enter the competition. There are different forms of powerful visual content and infographics are certainly one of them. Stats say that they are liked and shared three times more than other content. And, the reason for that is logical. Infographics let you present boring data in an engaging and concise way. As such, they will earn lots of social media shares. So, once you create your infographic, ensure you embed the link to your site, as well. When a user shares your infographic on social networks, they will also build a link to your site. Above all, promoting an infographic on social media is an amazing way to put your content in front of influential bloggers in your industry. If they like how you presented certain information, chances are they will republish it on their sites. Moreover, some of them will even use images from your infographic in their blog posts, meaning you will earn tons of quality backlinks. 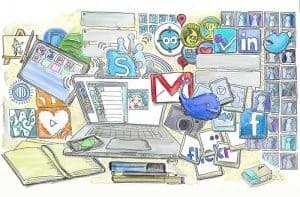 Most online marketers use social networks to share content from their website, curate authoritative content from other sites, and promote products in an engaging way. However, what they usually forget is that they can create gorgeous content for these platforms specifically. Create your own gifs to engage followers and tell your brand story. There are many tools that can help you here, such as Gifmaker.me that merges a series of images together into a gif or Giphy that lets you turn videos and YouTube content into gifs. Share user-generated content. Inspire visitors to post beautiful photos of themselves using your product and add your hashtag to them. This is an amazing opportunity to make your customers heroes of your stories, build trust with your potential customers, and gain lots of links to your site. Create video tutorials, podcasts, and webinars to bring value to your users. These are kinds of content that increase your brand authority and, as such, gain lots of shares and links. Again, make sure you link back to your website. If you want to appear high in the SERPs, you need to build backlinks on reputable sites. This is exactly where social networks can help on multiple levels. First, they increase your overall visibility. By reaching out to the right audiences, you will earn more shares and get yourself noticed by influential people in your industry. Second, they increase your online authority. Like you already know, credible resources gain more shares and backlinks. Finally, they help you with your influencer prospecting process. They allow you to find reputable people in your niche and build relationships with them before reaching out. You just need to know how to integrate your link building tactics with social media marketing. And, I hope these tips will help you a bit. How do you use social media to build links?